Summer is here and with the summer skies, BBQs days at Kits Beach and mountain hikes comes delicious British Columbia Craft Beer. With 50+ BC Breweries, 300+ craft brews and countless other distractions this is a list of 10 great beers to fuel your summer fun. 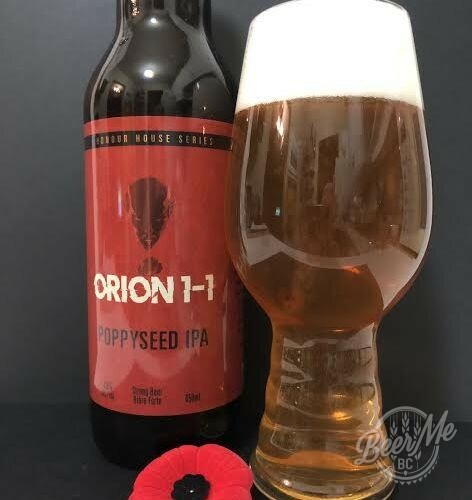 If you are planning to have some beer over the Canada Day, BC Day and Labour Day long weekends or really any other time this summer here are ten great BC craft beers to keep on hand for a refreshing, flavourful and delicious summer! The Naughty Hildegard pours into the glass with a billowing head. It is thick, smooth and fluffy. The smell hits the nose with plenty of hop. By the aroma I would place this more as an IPA than the declared ESB label. There is a touch of floral in the smell that helps to mellow the hop bitterness. The taste is delightful, it is smooth, hoppy and has an almost sour touch to it in a slightly floral and almost toasted taste. This one is actually hard to put a finger on but overall the taste is less hoppy that the aroma might suggest. The nature of this beer verges on IPA status but has a high likability factor through the complexity and uniqueness in the overall flavour. Hildegard Von Bingen would be proud to have this beer brewed in her honor. 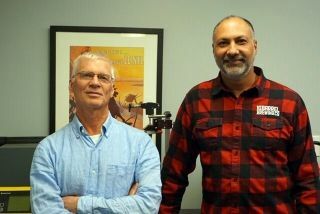 The fourth and final BC beer in the Canadian Band Beer series comes from Penticton’s Cannery Brewing. 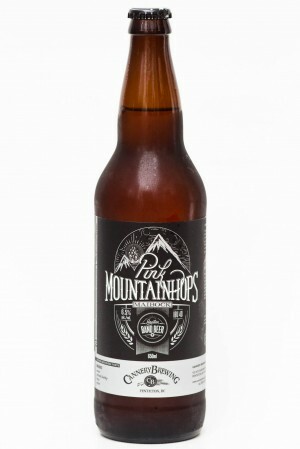 Based around the BC band Pink Mountaintops comes a Maibock called the Pink Mountainhops. This Bock style, German lager is golden in colour with a thick, three fingered head. The smell is of bold malts, German style hops and a faint sweetness. The flavour is bolder than your average lager with strong malts, surprising hop smoothness and just the right amount of sweetness. In the Pink Mountainhops, the malt and hop flavours work perfectly together for a beer that is flavourful, light and surprisingly complex. I am not sure what turned Cannery Brewing’s settings to 11 for this brew but the Pink Mountainhops is a cut above their primary lineup. Another great beer from CBC Radio 3 and Cannery Brewing. The gold medal for North American style Wheat Ales at the 2013 Canadian Beer Awards went to this beer here. 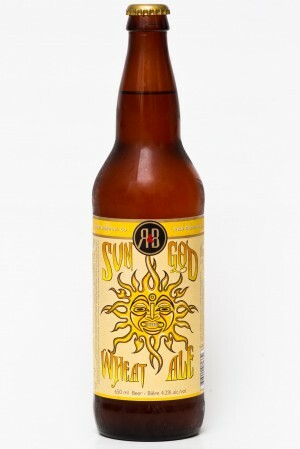 The Sun God is a filtered Kristal Weizen style Wheat Ale from the R&B Brewing company which people are talking about. Pouring a clear, golden colour, a thin head tops the glass dispersing quickly and without a trace. The smell is sweet with honey and malt but the taste on the other hand has much more depth. The Sun God starts off smooth with a mild sweetness, citrus and grass notes. The flavour builds into a slightly hopped finish balanced well with the citrus back and lingering honey-sweetness. This beer does not stand out in a crowd but that is because it is so easy to drink. On a hot summer day this is a great beer to choose and keep them coming. Refreshing, smooth and delicious! 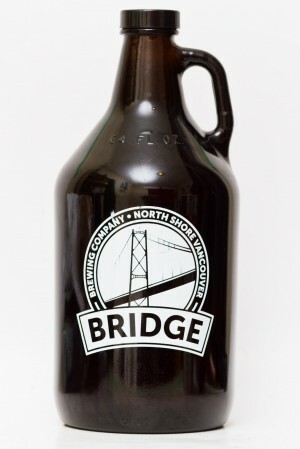 There are a lot of people drinking Bridge Brewing’s North Shore Pale Ale following the recent Growler Run where runners carried two growlers for 10km and were rewarded with copious amounts of beer. That is not the only reason to drink this pale ale though as it is a great tasting beer from a little brewery on Vancouver’s North Shore. Pouring a clear-copper colour with one finger of head this ale smells of light caramel, modest hop and a tasty toasted malt. The flavour closely resembles the smell featuring a crisp, malty start building to a toasted sweetness in the midsection and the Pale Ale finishes off with a light bitter hop. This may not be a beer that blows your socks off with flavour but that is also not the point. This is a flavourful, highly sessionable beer that can be enjoyed year round. This beer is primarily available at the Brewery for growler fills but is starting to turn up in select craft retailers around greater Vancouver. Keep an eye out and pick up a bottle or head to the brewery and fill your growler with the North Shore Pale! (zung-ga) n. 1. a word peculiar to Powell River meaning rope swing, esp. over water; 2. A delicious golden blonde ale. If you don’t come from Powell River you may tend towards the second definition of being a delicious golden blonde ale. Pouring with a relatively thing 1.5 fingers of head the truthfully labelled golden colour ale smells of toasted malt, caramel and a slight bitterness. When this blonde ale touches your tongue it starts off crisp and light before building into a smooth, mid-sweet body. The light and malty beer has a slight bitter finish that balances any sweetness making for an easy drinking, enjoyable beer for the spring or summer. The Townsite Brewing hand of beers is stacked and starting to make its presence known through more and more retailers so keep an eye out and pick up a few next time you see them! 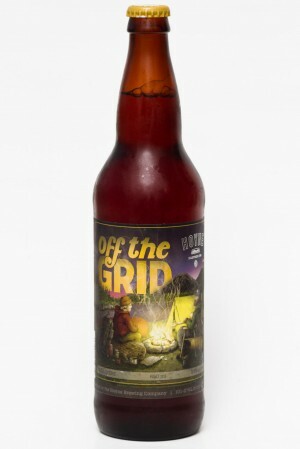 It has been a little while since Hoyne released a new beer but the Off the Grid has finally arrived. This amber coloured, Red Lager pours with 2 fingers of head that is fluffy and sticks to the side of the glass after settling. The smell coming off this beer is of caramel, mild hop and honey. The aroma is light with a sweetness that adds warmth to the beer. The taste is warm and toasted. Starting off smooth, the sweetness builds through the toasted honey flavour before leading up to a lightly hopped, contrasting balance. The finish is a blend of the lingering sweetness and mild hop-bitterness that is mellow smooth and yearns for another sip. 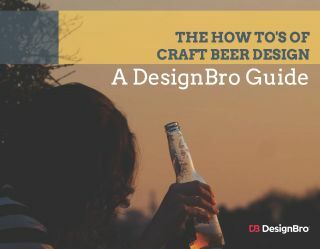 The sweetness is strong but not overbearing making for a flavourful and easy drinking summer beer that has something greater to offer than the average lager. Give it a try and the Hoyne Off The Grid will not disappoint! 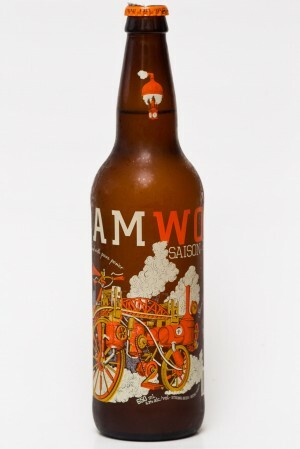 The Steamworks brewing company has released their Saison, a summer wheat ale designed for those hot summer days on the deck. This beer pours with three fingers of head on top a hazy straw coloured beer. The malt, wheat, citrus and a light skunky-ness come through in the nose of this beer with a touch of hop bitterness. The flavour is crisp and bright with citrus and light wheat notes taking charge. The crisp flavour builds into a hop bitter finish that is stronger than expected. While the aroma forecast a slightly skunky beer the flavour is actually quite nice. The crisp start and hopped finish give a nice balance of flavour that is both refreshing and flavourful. This is a great option for the upcoming hot town, summer in the city. The newest seasonal offering to come out of the Powell Street brewery is a twist on Belgian tradition. 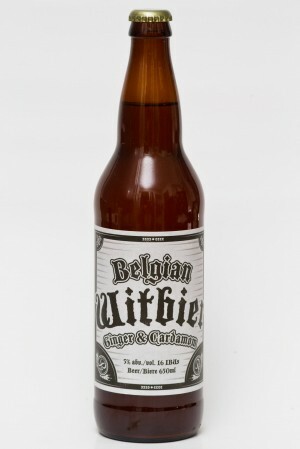 As a Witbier the addition of ginger and cardamom makes for a fragrant and unique tasting beer. Pouring with a thin finger of head this cloudy-yellow coloured beer is bursting with aroma. The Cardamom hits the nose first in a sweet and spicy smell. A faint Ginger note along side of orange and lemon make for a light but flavourful summer tasting. The flavour is big up front with cardamom, shortly following comes the citrus hit with ginger notes being much more apparent than in the smell. This wheat beer is light and flavourful with a fairly intense hit of Cardamom. Perhaps a bottle to share this is very refreshing on a hot summer, BC day. Tofino Brewing Co is tucked away on the west coast of Vancouver island and their beer has recently found its way into select craft locations speckled around the province. The Hoppin’ Cretin IPA is a pacific northwest style IPA that has a couple of fingers of head, is amber in colour and smells strongly of citrus and a piney, Cascadian style hop. The taste is smooth and strong with fruit, citrus and a distinct pine-hopped bitter flavour. The finish is surprisingly dry given the flavour profile. Overall this is a great tasting BC beer; if you happen to come across a bottle of this at your local craft retailer pick at least one up and give it a try. 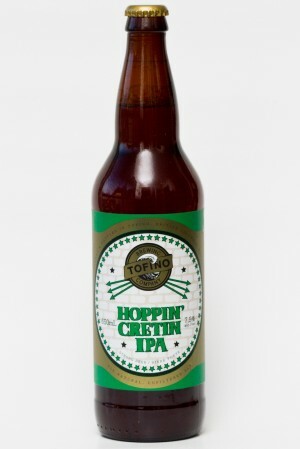 The Hoppin’ Cretin is s fantastic and authentic BC beer. 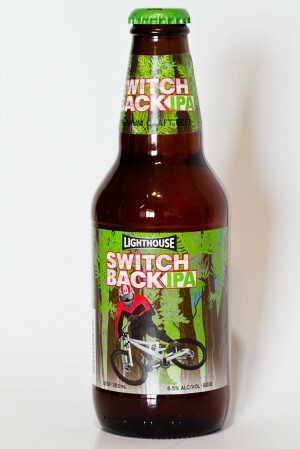 Mountain bikers like beer and Lighthouse has played off that theme for the Switchback IPA. With a strong 80-count IBU rating this Pacific Northwest style IPA pours into the glass with a couple fingers of head above a golden coloured IPA. This ale has a strong flavour with a bold pine hop that builds from the start through to the finish. While the IBU rating is sky-high, the taste is great and the beer goes down quite smooth. This is not for the beer-naive but can be easily appreciated by someone open to a stronger and more bitter-tasting beer. If you like beer and are adventurous when it comes to hop – give it a try, you will like this one!